David Wilcock Audio Blog-2012 Disclosure! Edgar Mitchell Interview on Kerrang Radio. A past Space Shuttle ScO admits ET's are real. And this ScO saw them himself, with another with ness. 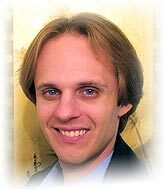 David Wilcock has released an exciting new audio blog entitled "2012 Disclosure!" 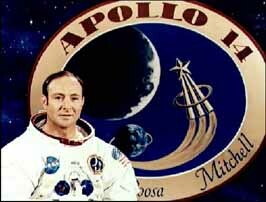 This special audio recording was posted to his official web site, www.divinecosmos.com on August 2, 2008 and it contains a lot of detailed information on extra-terrestrials, 2012 and the news of an astounding interview conducted with former NASA astronaut, Edgar Mitchell on a British radio show, on July 23, 2008. On that interview with Nick Margerrison on Kerrang Radio, Dr. Mitchell stated, in no uncertain terms, that ET's are very much real and here on this planet and our government has been covering up their existence for over 60 years. The "2012 Disclosure!" audio blog is nearly an hour and a half long and offers many fascinating insights from David's research into the ET phenomenon and his contacts with insiders. This is a highly recommended listening experience! It would appear that there is a tidal wave of ET disclosure information unfolding with such guests as Jeff Peckman appearing on "The Late Show with David Letterman", Fox News, Larry King Live and now, this revelation from Edgar Mitchell on a UK radio station. Further disclosures include the new films, "Indiana Jones and the Kingdom of the Crystal Skull," and "Hancock," starring Will Smith. Stay tuned, there is no doubt that there will be more to come.